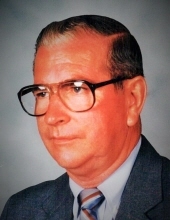 Jack J. Taylor, 85, of Norwalk, Ohio, passed away Friday, March 22, 2019, in his home. He was born March 1, 1934 in Louisa, Kentucky, to the late Grant and Ruth (Jordan) Taylor. Jack was raised in Catlettsburg, Kentucky, and was a veteran of the U.S. Air Force. He retired from New Horizon Bakery in Norwalk, Ohio, where he was a field service representative, making sure that each McDonald’s received their buns. Jack was a member of Eagles Aerie #711, and Ken Bur Bell Post #41 American Legion. He loved to golf, and worked at Eagle Creek Golf Club. Jack also enjoyed watching sports, bowling, fox hunting, and was an avid University of Kentucky fan. He is survived by his wife of 51 years, Audrey “Jean” (Paramore) Taylor of Norwalk, Ohio, by his children, Leisa Taylor Jones of Mt. Sterling Kentucky, Paul (Tina) Taylor of Catlettsburg, Kentucky, Scott Taylor of Manchester, Kentucky, Bruce Hite of Norwalk, Ohio, Steve Hite of Norwalk, Ohio, Elizabeth Gilbert of Norwalk, Ohio, and Lori Hite of Wakeman, Ohio. Jack is also survived by many grandchildren, and numerous great grandchildren. Friends may call on Tuesday, March 26, 2019 from 4:00 p.m. to 7:00 p.m. in Walker-Eastman-Heydinger Funeral Home, 98 West Main Street, Norwalk, Ohio. Calling hours will also be held on Thursday, March 28, 2019 from 11:00 a.m. until the time of service at 1:00 p.m. in the Catlettsburg Free Will Baptist Church, 3700 Valley Street, Catlettsburg, Kentucky. Interment will be in the Taylor Family Cemetery. Neal-Kilgore & Collier Funeral Home is assisting the Family with local services. To send flowers or a remembrance gift to the family of Jack J. Taylor, please visit our Tribute Store. "Email Address" would like to share the life celebration of Jack J. Taylor. Click on the "link" to go to share a favorite memory or leave a condolence message for the family.